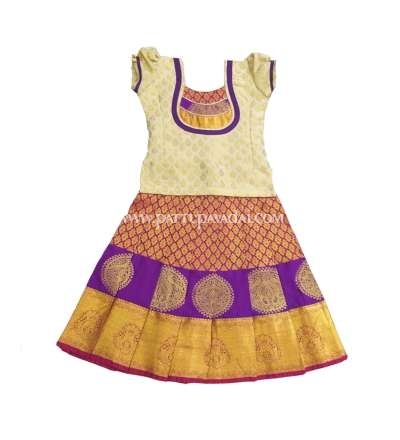 Get your sweetie pie dressed of a silk dress with fancy patterns for traditional occasions. 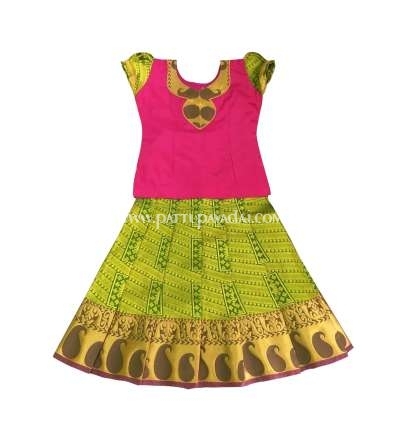 We are a reckoned name in this industry, indulged in offering an excellent quality range of kids Pattu Pavadai with alluring border making it a complete grant designer wear. 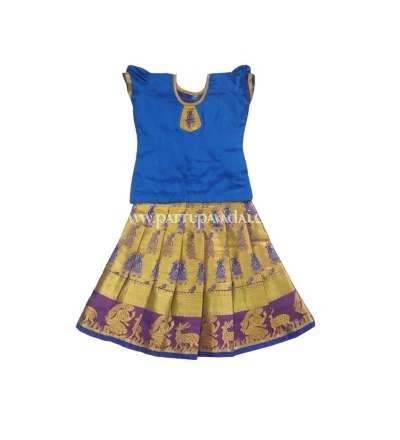 Woven in silk, pavada kids clothing has a royal and rich look to it. This South Indian Pure Silk Langa has become really popular among young girls because it looks royal and ethnic, and renders a graceful look. Our offered range is widely acknowledged for its high quality pure silk, comfortable fitting, skin friendly fabric and fine finishing. The offered range is made available in variety of sizes in order to fulfill varied requirements of the customers and kids Pattu Pavadai is well tested on various defined parameters before it is delivered. 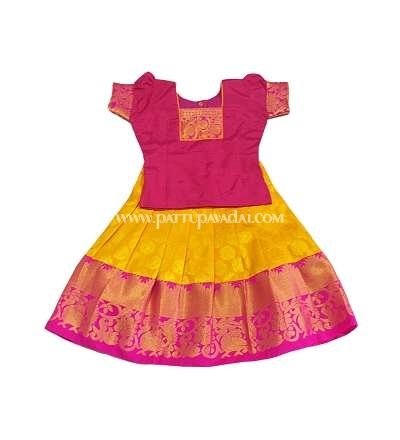 You can get a variety of designs in Pavadai clothing so that your child can wear them on different occasions. 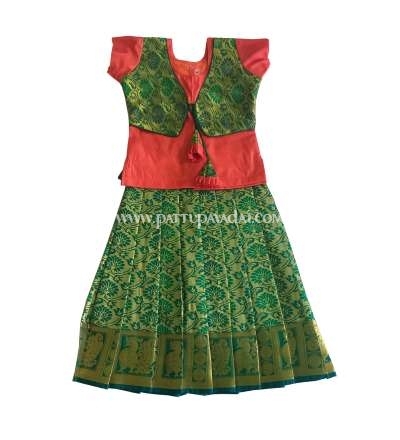 The outfits are available in a wide range of materials, cuts and designs. 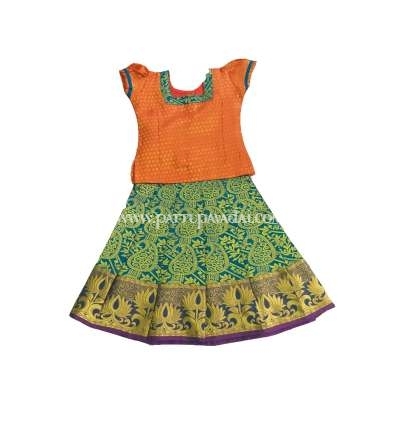 Make your little girls look trendy with the ethnic clothes during the festive season, on traditional occasions or at parties. 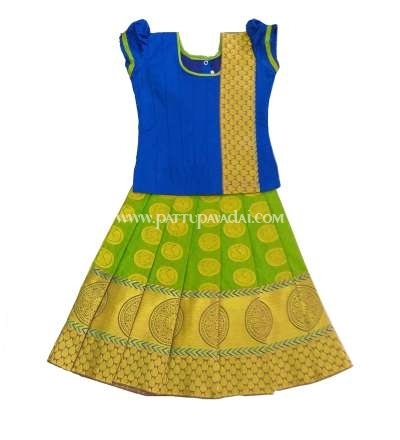 Furthermore, we offer our Babies Pattu Pavadai to our customers at competitive rate. 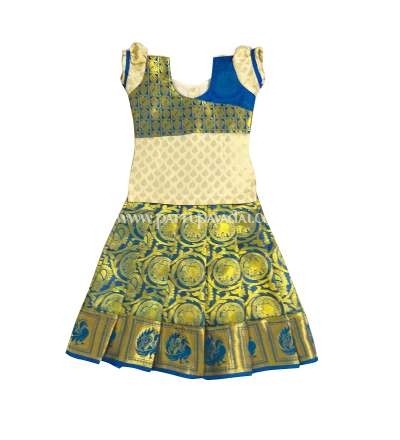 Vibrant colors and designs create a rich, royal look and these ethnic wears are perfect for little princesses.